Automated creation of aquatic habitat maps from consumer sonar devices. 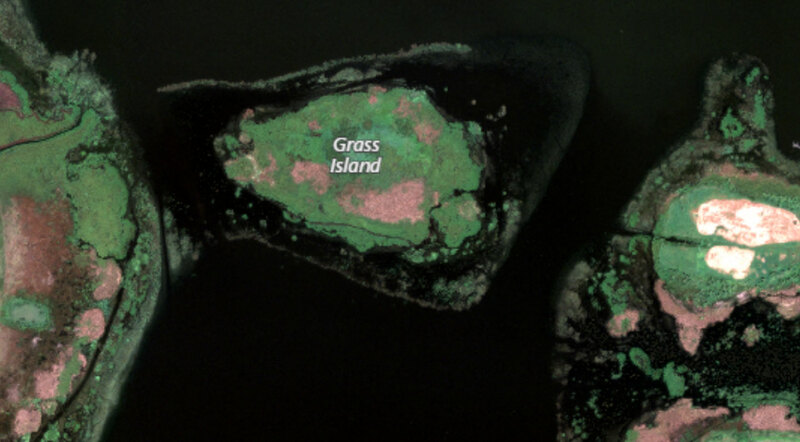 Transform high definition satellite imagery of wetlands and coasts into detailed maps. Create customized digital or print maps for your customers or stakeholders. Create detailed bathymetric, aquatic, and coastal habitat maps automatically by recording sonar from off-the-shelf LowranceTM or SimradTM sonar devices. 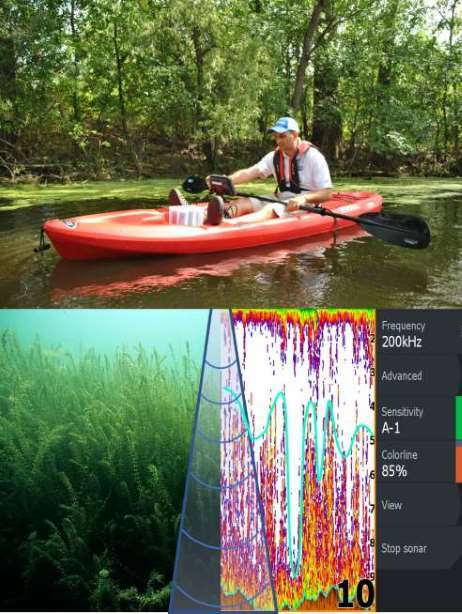 Easy to use - EcoSound automates data processing tasks with sophisticated algorithms on cloud serves to deliver high-quality maps to practitioners conducting their research or managing an aquatic habitat - all within minutes. Maps, Data, and Reports Organized in a Cloud Account - all interactive maps, processed data, and data reports are archived in an easy to browse dashboard; data reports are created automatically, are available for sharing, and for exporting to a third-party GIS or statistical software. Verify Outputs with Trip Replay - your maps, sonar log (both broadband and structure channels), and data along your track are synced making output verification and editing easy. 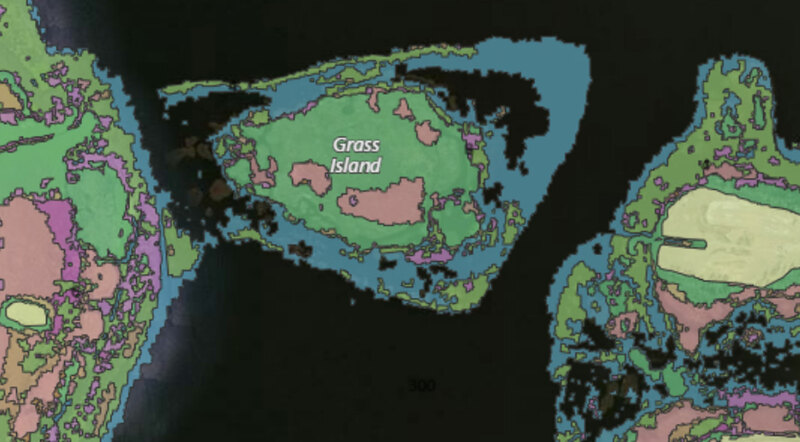 Analytical Tools - create polygons around an area of interest and generate local statistics for water volume or aquatic vegetation cover. Semi-automated processing of high-resolution satellite images maps emergent floating, and near the surface aquatic vegetation in wetlands and lakes. 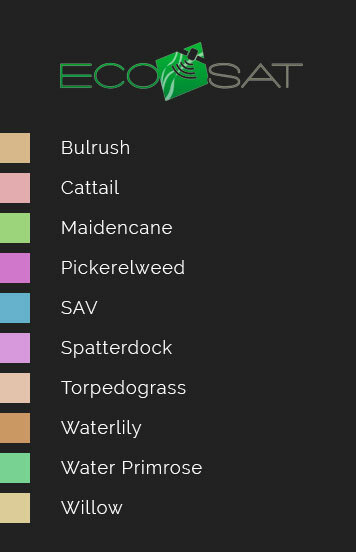 Benthic habitats are classified using the coastal and marine ecological classifications standard. 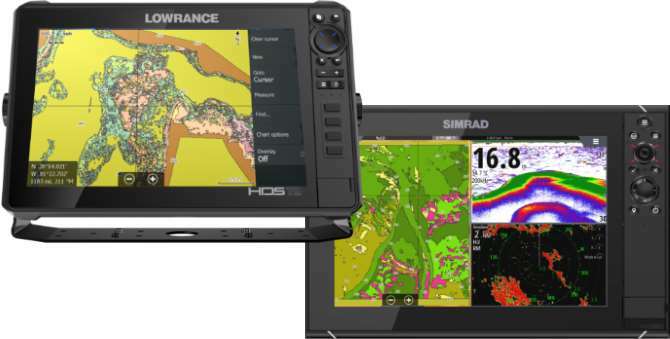 Exportable Lowrance and Simrad GPS Charts, ESRI Shapefiles, and Automated Summary reports of the Total Area of Each Classification are created automatically. 04/11/2019 - BioBase EcoSound Composition (Hardness) Algorithm: More details! The centralized nature of BioBase (biobasemaps.com) cloud technologies coupled with sophisticated, yet low-cost consumer electronics like Lowrance or Simrad depth sounders/chartplotters have created fertile grounds for developing, testing, and verifying algorithms for typing aquatic environments. The more users upload from a greater range of systems, the more refined algorithms can become addressing a wider range … Continue reading "BioBase EcoSound Composition (Hardness) Algorithm: More details!" We’re excited to announce the launch of the new biobasemaps.com website! You’ll find an image-rich professional look and feel as well as information segmentation into solutions and features that speak directly to the markets we serve (Aquatic Plants, Fisheries, Water Resources, Private Ponds, Coastal). New visitors to biobasemaps.com will also see more information about our … Continue reading "New BioBase Website including new DIY GIS tutorials"
Ray Valley Aquatic Biologist and BioBase Product Expert I frequently get inquiries from current and prospective BioBase users about the accuracy of consumer-grade Lowrance GPS and whether survey-grade 3rd party receivers capable of differential correction (DGPS) or receiving positions from multiple satellite constellations (Global Navigation Satellite System – GNSS) could be used with Lowrance and … Continue reading "Networking 3rd Party GPS/GNSS into Lowrance"
River channel thalwegs (the line of lowest elevation within a valley or watercourse) are often dynamic, and sometimes hidden features of large river systems. Especially low slope or impounded systems. The thalweg is a critical geomorphological feature of river and reservoir systems and affects everything from sediment transport, to fisheries habitat, to algae or invasive … Continue reading "Mapping Hidden Channels with Genesis Live"
A. Adams, M. De Jesus, G. Cummings, and M. Farooqi Texas Parks and Wildlife Department, Inland Fisheries Abstract: Texas Parks and Wildlife Department Inland Fisheries (TPWD IF) biologists traditionally use “stand-alone” mapping interfaces to generate 2-dimensional (2-D) aerial outputs of fish habitat and benthic surveys of aquatic systems. Preliminary work has shown promise in … Continue reading "Utilization of a Web-Based Mapping Interface to Enhance Inland Fisheries Management Strategies in Texas"